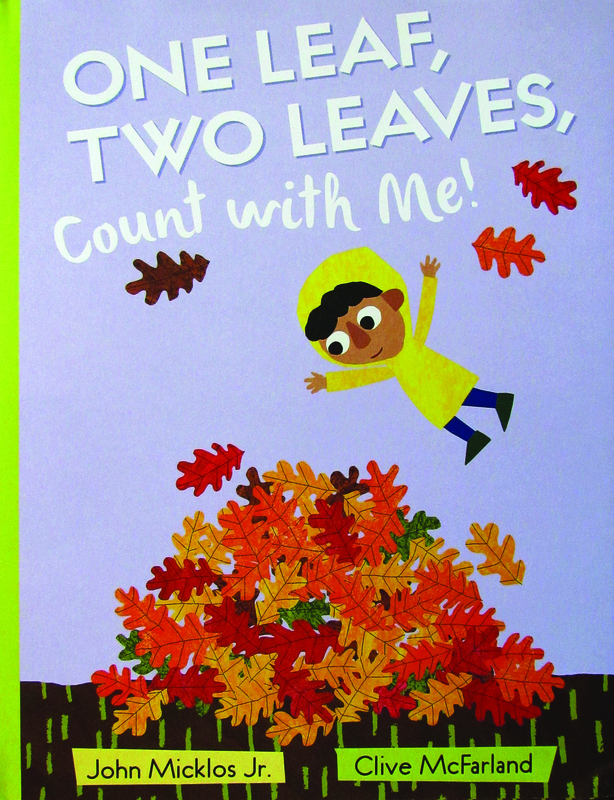 Children can le arn to count as they also learn about the seasons, thanks to a playful new picture book titled One Leaf, Two Leaves, Count with Me! written by John Micklos, Jr. and illustrated by Clive McFarland. The book begins “One leaf, two leaves, on the tree/Three leaves, four leaves, count with me.” From there, preschoolers and primary children count their way through the seasons as leaves grow in the spring, fall in the autumn, and grow again the following spring. There’s a world of activities for children to spy around a beautiful tree as various wild creatures, and one little boy, celebrate the cycles of nature. The inspiration for One Leaf, Two Leaves, Count with Me! came when the author saw the last two leaves clinging to a tree in October 2014. The line “One leaf, two leaves, on the tree” popped into his head, and the rest of the text developed from there. Released September 5, 2017 by the prestigious Nancy Paulsen imprint of Penguin Publishing. the book has drawn positive reviews from Publishers Weekly, Kirkus Reviews, and Charlotte Parent. Learn more at the book’s page on the Penguin website. “It was a moany sound, a groany sound, a chill-you-to-the-boney sound.” Is there really danger lurking in David’s basement, or is it just his imagination? Find out as David learns to face his fears in The Sound in the Basement (ages 3-8), written by John Micklos, Jr., illustrated by Eric Hamilton, and published by First State Press. 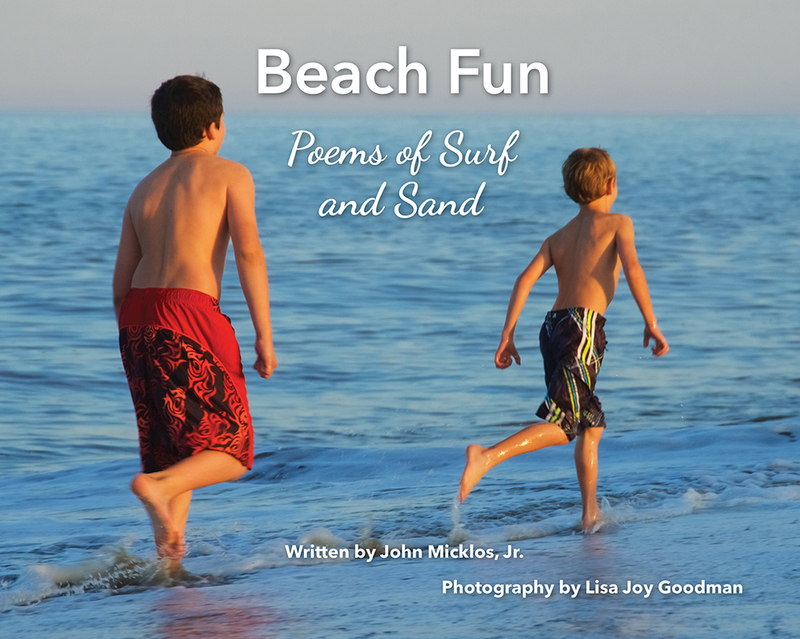 Beach lovers ages 4 to 94 will enjoy this book celebrating the magic of a visit to the beach. Rhythmic poems by John Micklos, Jr. and stunning photography by award-winning photographer Lisa Goodman combine to make this book truly special. The book is published by First State Press.